Golden Triangle on Oddroad. 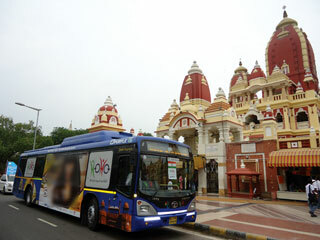 Visit Delhi, Agra, Jaipur. The Delhi-Agra-Jaipur circuit, popularly known as the Golden Triangle, probably attracts more tourists than the rest of India put together. 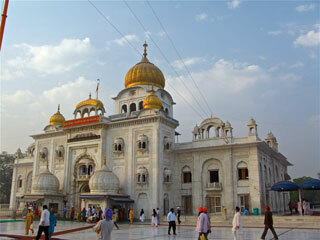 The breathtaking beauty of the Taj, the Rajput splendour of the "Pink City", and the strange amalgamation of the ancient and modern that go to make India's capital city create a heady magic mix potent enough to satisfy the casual visitor, seductive enough to lure the serious traveller further in. Meet & Assist at arrival and departure; 04 nights' accommodation in good hotels with breakfast & taxes; Guided city tours and intercity travel by private a/c car with driver, fuel, tolls & taxes; Elephant ride at Amber fort. 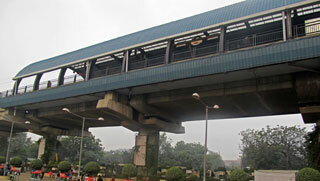 Arrive in Delhi and check into your hotel. 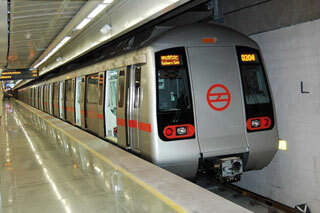 Delhi, the capital city, retains its old historical charm and is a modern wonder with high-rise buildings, huge shopping malls and busy streets. Some parts look like overgrown villages and small towns while other areas have posh hotels, restaurants and sleek art centers. 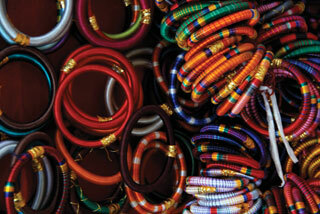 The Dilli Haat, in the commercial centre of South Delhi, is a traditional village market which show-cases the best of Indian culture, handicrafts and ethnic cuisine. Time permitting you can visit this unique market which is actually a cultural centre. 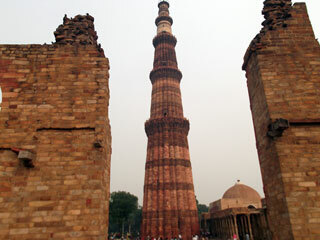 Proceed for a half-day sightseeing of historical monuments like the Qutub Minar, Humayun’s Tomb, India Gate and Parliament House. 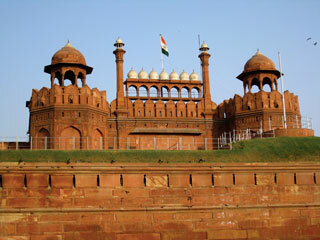 In the evening see the Sound and light show at the Red-Fort, another important Mughal monument. 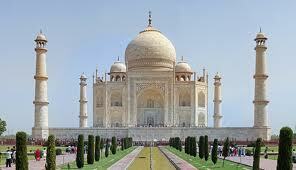 After breakfast drive 204 km to Agra, the city of the Taj-Mahal and one of the most popular destinations of the world. 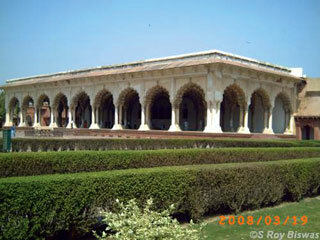 Visit Akbar’s tomb at Sikandra, enroute to Agra. Check into your hotel. 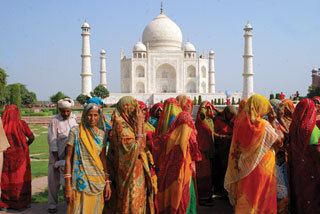 Visit the Taj Mahal with a guide. 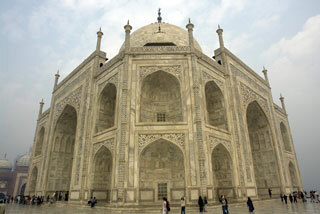 A sunset or sunrise visit to the Taj is very special - the luminescent white marble comes alive in different hues. 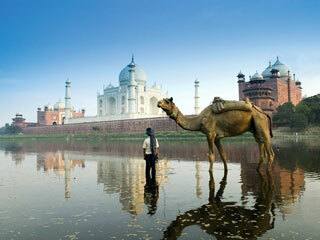 The river Yamuna flowing behind the Taj reflects the monument in all its glory. 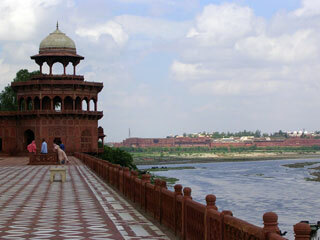 Visit the Agra Fort which was designed as a military base by Akbar. 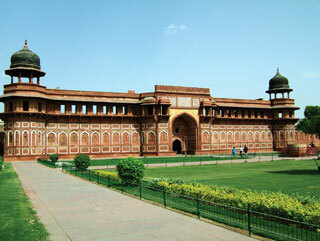 After breakfast drive 237 km to the pink city of Jaipur via the imposing monument of Fatehpur Sikri. 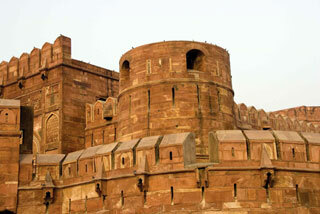 Built in pink sandstone, the erstwhile Mughal capital is impressive with a 54 metre high entrance known as the Buland Darwaza. 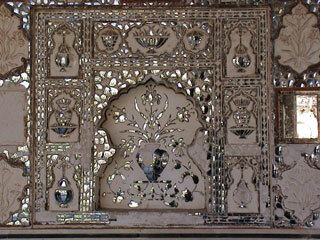 Inside the complex is a mosque and a white marbled tomb of the saint Salim Chishti. 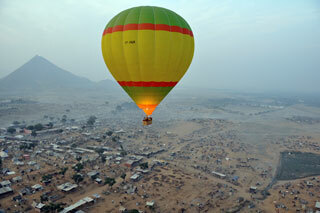 Arrive in Jaipur and check into your hotel. 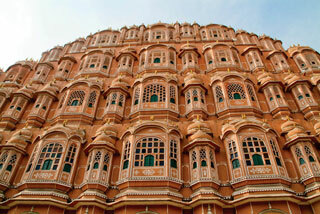 Jaipur is a city of forts, palaces replete with the splendor of Rajput royalty. 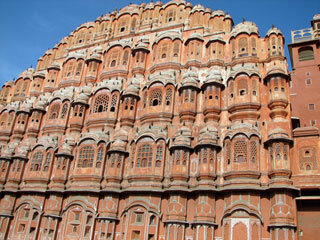 Half-day sightseeing of Jaipur city – visit the Jantar Mantar, Hawa-Mahal, City Palace and the bazaars of Jaipur for some excellent shopping. 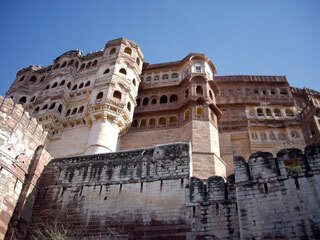 After breakfast visit the old Rajput capital – the Amber Fort, with a guide. 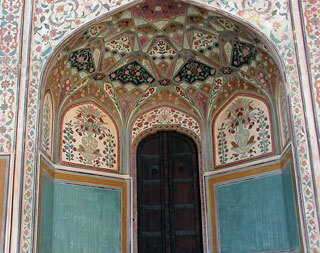 The frescos, paintings and carvings at Amber are the finest example of Hindu Rajput architecture. 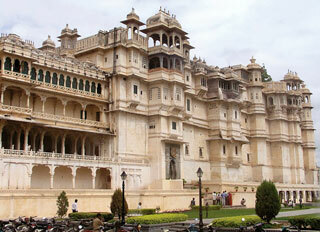 Laid out on four levels with open courtyards and temples is an opulent palace within the formidable fort. 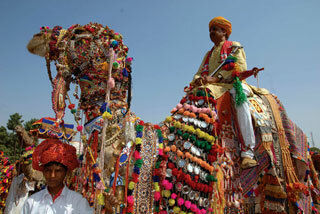 Take an elephant ride to the ramparts of the fort. Later catch up with your shopping and sightseeing in the city. 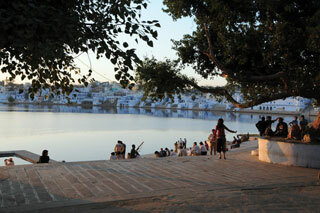 Have dinner at Chokhi Dhani an open air ethnic place with folk dancers and musicians and authentic Rajasthani cuisine. Depart for Delhi and drop to the airport to fly home, or extend your stay in Rajasthan by taking a trip to the wildlife sanctuaries at Sariska or Ranthambhore or doing a camel safari in the Shekhawati region or at Jaisalmer.